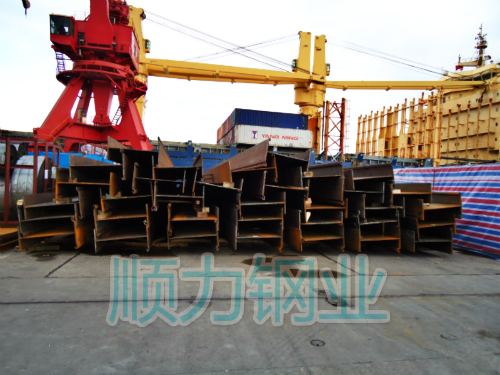 Engineering used sheet piles, it can also be used again. Here I come to share, re-use steel sheet pile is how to improve their deformation and damage through correction and repair. Ventral bending correction ends fixed to the support point, jacking cold bending correction of the steel sheet piles hump. Lateral bending correction is usually carried out in a special corrective internet. Without correction conditions, the general existence of such problems pile disuse. Cleaning of defects near the surface rust and oil, and then use the welding repair method for fill level, and then polished wheel. As a standard sheet pile locking plastic mold, using slow traction hoist adjustment processing, or using oxyacetylene thermal drying and sledgehammer percussion mold propulsion methods straightening process. Oxyacetylene cutting end portion of the pile, so that a plane perpendicular to the axis ends, and then use the wheel to be polished cut surface finishing. When dressing small amount, the wheel can also be used directly for repairs. The local deformation of the oxyacetylene heat drying and jacking pressure sledgehammer hitting a combination of methods to correct. Usually in the case of the construction of less demanding, you can use the secondary steel sheet pile after correction. If this is the construction requirements and safety aspects of the comprehensive consideration, purchase new cold-formed steel sheet pile or more recommended. In terms of cost and strength hot-rolled steel is almost the same, only one-third of the former price. Shun force for the global steel industry customers from the pile design selection, product manufacturing, logistics and arrangements for the port to door, to guide the construction of train services. Ensuring better performance under the premise owners and construction side of a significant reduction in steel consumption, save a lot of money, and therefore in international bidding for major projects repeated success, frequently successful.